Coming down from 2 days of bigmagic columns. Can confidently say it's the best surprise mother lode I've gotten on the Inet in a yr. I'd send you a check but I'm going broke myself. Meanwhile I've attached a WSB dream in Adobe Postscript for your strange enterainment. Lucky you. 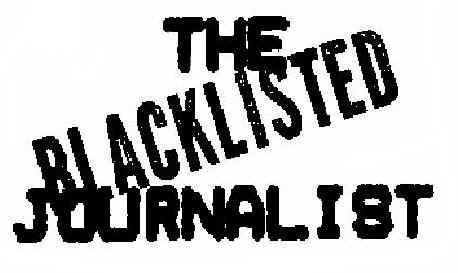 Why exactly are you blacklisted NOW? Your stuff looks presentable to me and the topic is topical certainly. I seen an article on your webpage about Dakota Lane who wrote Johnny Vodoo. I am looking for a way to write her as I am a big fan of her story "Johnny Vodoo". It said in the article you were a friend of hers and i would like to send her some fanmail. I am not asking for her personal address, i just want a place that i can write her and tell her how great I think her story is. I saw your page on 'The Beatles' and it mentioned the name *Brian Epstein*. I'm a fan of an actor named 'Jake Epstein' and I read that he likes 'The Beatles' too. Could Jake Epstein be a relative of Brian Epstien? Do you know where I could find out? Subject: Women drivers. Flip one off? read on. . . . I was riding to work yesterday when I observed a female driver cut right in front of a pickup truck causing him to have to drive onto the shoulder to avoid hitting her. This evidently angered the driver enough that he hung his arm out his window and flipped the woman off. Man, that guy is stupid, I thought to myself. Of these, 16 miles each way is bumper-to-bumper. Most of the bumper-to-bumper is on an 8 lane highway so if you just look at the 7 lanes I am not in, that means I pass a new car something like every 40 feet per lane. That's 7 cars every 40 feet for 32 miles. That works out to be 982 cars every mile, or 31,424 cars. Statistically, half of these are driven by females, that's18,000. In any given group of females 1 in 28 are having the worst day of their period. That's 642. This means, that EVERY SINGLE DAY, I drive past at least one female that has a lousy love life, thinks men are her biggest problem, has seriously considered suicide or homicide, is having the worst day of her period, and is armed. Just read your piece on Murray the K; a link was posted on the NY radio message board...I grew up listening to the last of his days on 1010WINS, I remember him from Moniter and WNBC...but of course, am well familiar with the legend. just one comment on your article. Wow. It left me breathless and drained. OK, that's two comments. I can't believe he's been dead almost 20 years. I just read your interview online. Thank you for the insight that it shines....It made my day. Where might I find a copy of Moon Jasmine on the internet? I was watching a documentary on Bob Dylan and the 60s on cable and think you were interviewed during the documentary. Joan Baez was in there as well. I came in in the middle and your name wasn't on the screen but I am almost sure it was you. The thing that gave it away was when you mentioned that Bob Dylan said to you when hearing about the Beatles smoking in Buckingham Palace, that maybe you shouldn't have turned them on.